Old Post Road Mountain Bike Trail hosts a series of twelve interconnecting loops offering the mountain bike enthusiast over 8 miles of trail in one great place. It is open free to the public year round. From Interstate 40, take Russellville exit 81 to State Highway 7 South. Drive 4.4 miles then turn right onto Lock and Dam Road, which ends within the park. The main trailhead is across from the tennis courts on the right as you enter Old Post Road Park. The upper trailhead is located at Caudle Overlook, overlooking Dardanelle Lock, Dam and Powerhouse. Take the road leading to the Arkansas River Visitor Center and it will end at Caudle Overlook. The Old Post Road Mountain Bike Trail system consists of twelve interconnecting loops of over 8 miles of trail in one great place, Old Post Road Park. This trail is free to the public and open year round. The various loops can be accessed from two different trailheads both located within the park. Amenities within the park include flush toilets, kiosks with trail maps, paved parking, basketball, volleyball and tennis courts, a large playground, eight pavilions, a soccer field and a 40 site campground hosting showers, a dump station and electric and water hookups at each site. The Arkansas River Visitor Center is located between Old Post Road Mountain Bike Trailheads, offering history on the US Army Corps of Engineers and the multitude of outdoor activities within the Arkansas River Valley. Loops within Old Post Mountain Bike Trail vary in difficulty. Easy Rider Trail is a great trail for beginning mountain bikers and also a perfect place to warm up or cool down from a great ride. All other trails interconnect and vary from modest to intermediate skill level allowing everyone the opportunity for a personalized ride. It is recommended that less experienced riders walk their bikes through technical stretches. Remember that safety comes first with the US Army Corps of Engineers: please wear your safety gear. 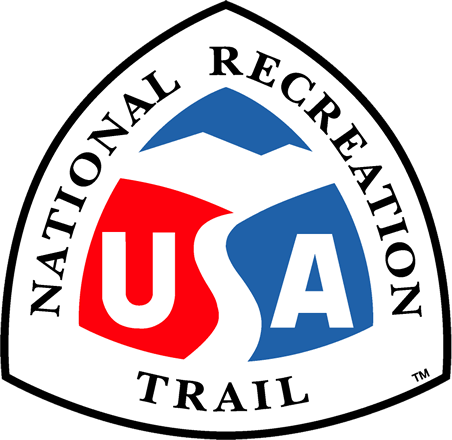 Important Information – The trail crosses the roadway within the park at both trailheads. Please be careful at all road crossings. The surrounding area – Visit the Arkansas River Visitor Center and peruse the many outdoor opportunities that the Arkansas River Valley has to offer. The Visitor Center Attendant will assist you with questions and direct you to the multitude of free literature on activities within the area. Lake Dardanelle offers many federal, state and city parks that will meet the needs of any visitor. The park lies just outside Russellville's city limit, which offers a host of hotels, restaurants and shopping. 3. Always yield the trail. The steps are simple; slow down, establish communication with the people you meet and pass safely. Yielding doesn't always mean stopping and dismounting, though sometimes that's the best idea. 6. Pick up a map. Photo by US Army Corp of Engineers.